WHO: Forty Oklahoma songwriters will play an intimate festival celebrating the life and songwriting tradition of Oklahoma Music Hall of Fame inductee, Tom Skinner. The festival, now in its second year, will benefit Oklahoma musicians in need through the nonprofit, Red Dirt Relief Fund. WHAT: This day of musical surprises showcases Oklahoma’s best songwriting talent in acoustic groups. 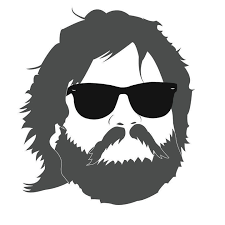 As the night plays on, bands like Red Dirt Rangers and Tom Skinner’s own Science Project Band will play sets inviting friends to the stage for favorite Skinner songs throughout. 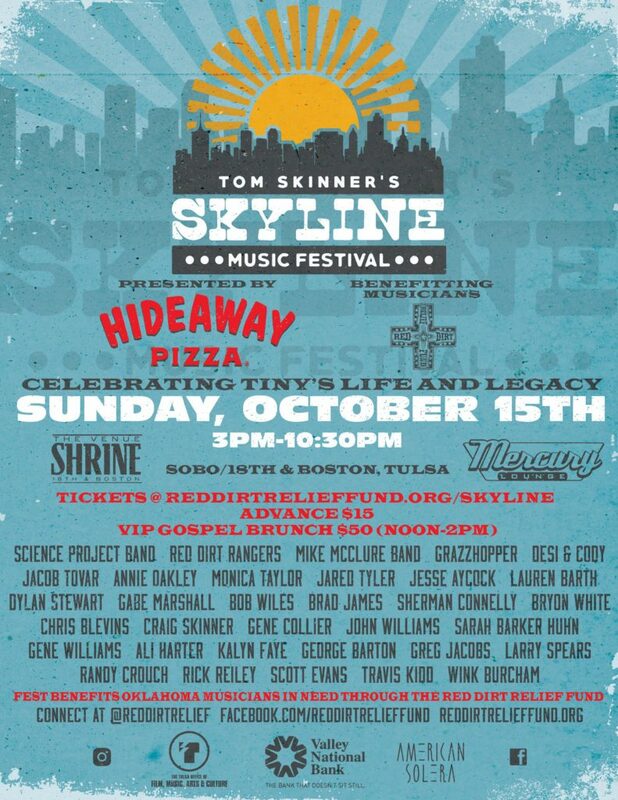 Presented by Hideaway Pizza, the fest will also include a raffle for items like Pizza for a Year, A Night on T-Town and Skinner’s personal items including his radio and books. New to the festival this year is the addition of a VIP Gospel Brunch. From many years, Skinner hosted a Sunday Gospel Jam at Stone River Music Festival that regularly featured bloody mary’s and grilled cheese sandwiches. In that spirit, Monica Taylor, Wink Burcham, and Desi & Cody will perform a Gospel Brunch at the nearby home of Elizabeth Bumgarner from noon-2pm the day of the festival. Brunch is included with a VIP festival ticket, along admission to the festival that night. HOW: Advance tickets that allow access to both venues are $15 at www.reddirtrelieffund.org/skyline. They can also be purchased at the door for $10 per venue. A limited number of advance VIP tickets that include the Gospel Brunch are available for $50. WHY: All festival proceeds benefit the Red Dirt Relief Fund, a non-profit organization that provides a safety net of critical assistance to Oklahoma music people. Skinner was a grant recipient of RDRF, and remained a committed supporter of the organization until his death in July 2015. Nine musicians performing at this festival have benefitted from the RDRF. Operated by an all-volunteer Board, RDRF has granted over $68,000 to musicians in the state since 2012. MORE INFORMATION: Visit www.reddirtrelieffund.org/skyline. For media inquiries or credentials, please contact Katie Dale at reddirtrelieffund@gmail.com or 918-407-4599.